TICKETS - on sale NOW! Download the 2016 GBRFF Program. GET A DAY OR WEEKEND Sealink GBRFF DISCOUNT Pass AND SAVE! Book early to avoid disappointment at the door. Pick up your discounted passes from townsvilletickets.com.au before 12 noon on Thursday 8 September to get BIG savings!, or pay as you go at the door. ADULT Sealink GBRFF FRIDAY NIGHT PASS: $35 - (Normally $49) Save $14! Includes one adult return ferry fare and two movies. ADULT Sealink GBRFF SATURDAY PASS: $55 - (Normally $95) Save $40! Includes one adult return ferry fare entry to three movies and nine talks. ADULT Sealink GBRFF WEEKEND PASS: $82- (Normally $145) Save $63! Includes one adult return ferry fare, entry to all five movies and ten talks. Student, Concession and Family Sealink GBRFF Passes, plus the MI Pass (without a return ferry ticket) are also available. HAVE ONE FOR THE REEF! 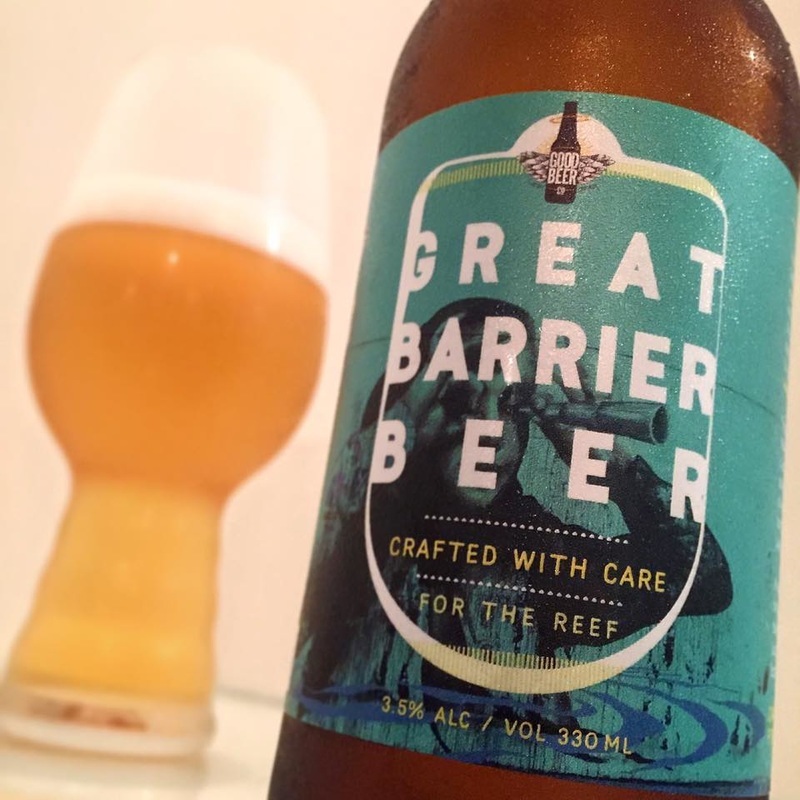 With 50% of the profits going to the Australian Marine Conservation Society, you can enjoy a great beer AND have one for the reef. Tastings at 12noon to 2pm and 5pm-7pm on Saturday 10 September at GBRFF!